Charlotte often ranks highly on "best" and "most" list for cities, reflecting our great quality of life here. But we're terrible NBA fans, according to a new list by Forbes.com. New York Knicks fans top Forbes' list of the NBA's Most Loyal Fans. "Over the past five years, the inept team--owner of a 0.368 winning percentage and one playoff appearance--has played to 99 percent capacity at Madison Square Garden," the article states. At the end of the article, Forbes takes a swipe at us. "The least loyal NBA fans? 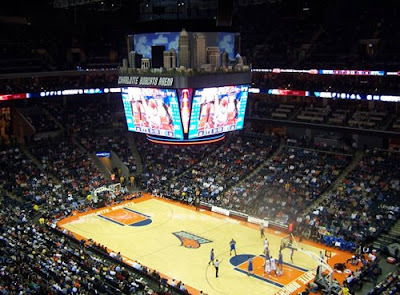 They can be found in Charlotte, N.C., where the Bobcats have ranked last in attendance over the past four years despite offering the fourth most affordable tickets."